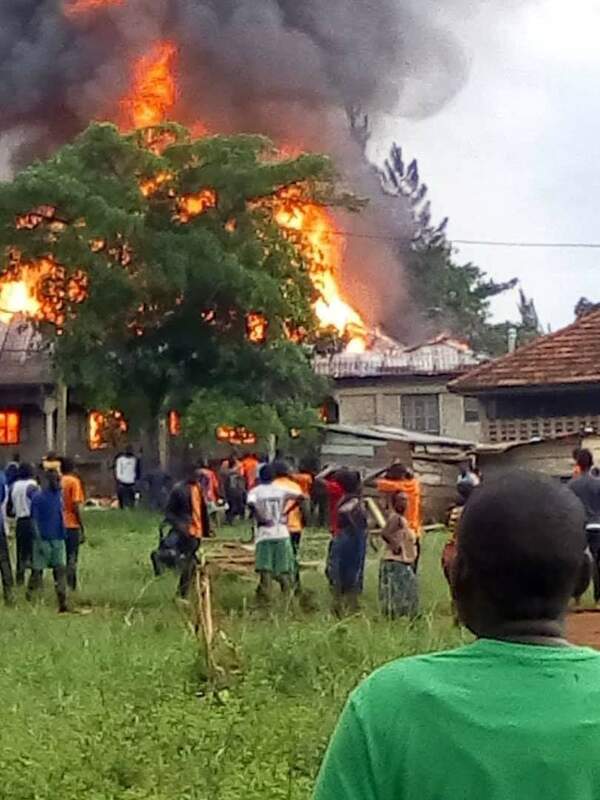 MUKONO: Fire gutted a boy’s dormitory at Forest Hill College Mukono at Namawojjolo in Mukono district Thursday afternoon destroying student’s properties worth Ugx 800M. The incident happened when the students had gone in the field for sports practice in preparation for the school’s Sports Day slated for Saturday, April 6. Ms Were further revealed that the dormitory accommodates about 225 students of classes S3 to S6. With no student reported missing or dead due to the fire, the fire engulfed a whole building destroying beds, mattresses and students’ personal items. The Fire brigade arrived at the scene when they had put out the fire with the help of the rain. She also said that the school will tentatively provide their students with essentials like mistresses, blankets, bedsheets as they work out a last-solution. The school management revealed that they expect the students to return Monday, April 8 to resume lessons.